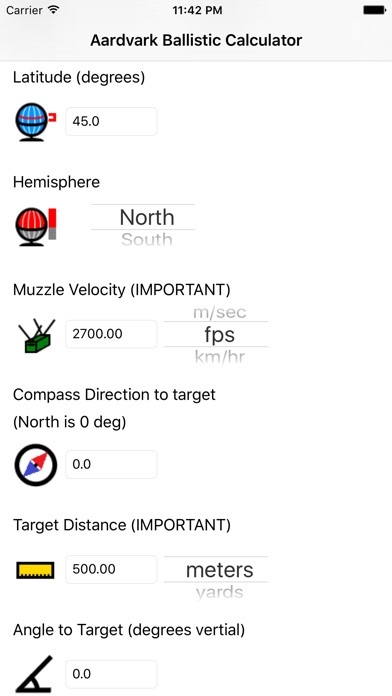 Developed by Aardvark Robot Corp.
Aardvark Ballistic Calculator is very quick and easy, yet it is very advanced, giving a precise firing solution for extremely long range shooting. It starts off fast, with minimal images, for instant loading. Icons allow you to find what you need to change in a hurry, without reading every heading. The program is precise at extremely long range, as an example; the latitude is taken into account when calculating gravity. Advanced calculations include Spin Drift, Vertical and Horizontal Coriolis effect. Both G1 Spitzer and G7 boat tail drag models are supported. -Air density changes do to Temperature, Barometric Pressure and Air Humidity. 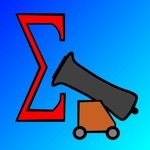 -Spin drift do to bullet rotation and precession in flight. -Coriolis effect do to the earth’s rotation while the bullet is in flight. -A comprehensive User Manual (Help) is integrated into the app. 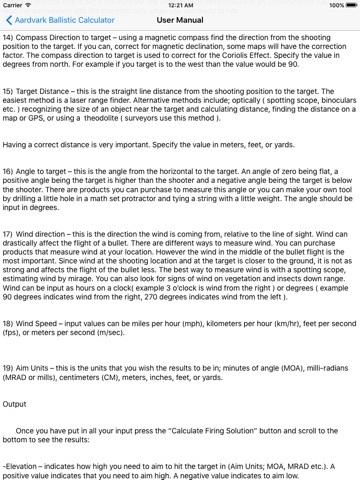 The Help document teaches fundamentals and nuances of extremely long range shooting. -calculation for bullet kinetic energy at target in; foot pounds and joules. 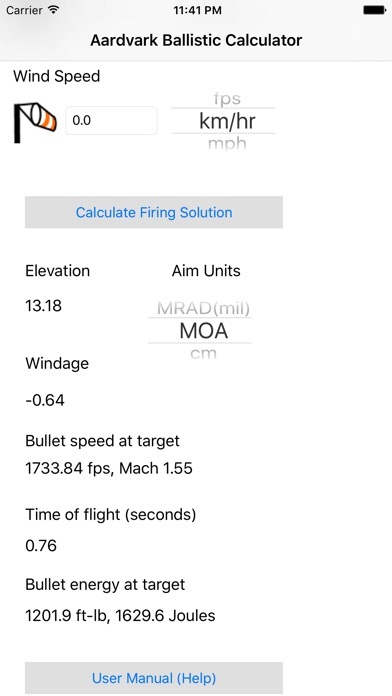 -Mach number of the bullet speed at target. -Selection of Bullet Manufacturers Ballistic Coefficient atmospheric standard basis; Standard Metro, and ICAO. -A variety of units is supported both Metric and Imperial; you can quickly and individually select the units used for each field. The app is designed to be disconnected (off the grid), staying away from emitting radio frequency waves. It does not use Wi-Fi, blue tooth or the internet to connect to servers. This has the added benefit of keeping battery usage lower when your away. Since the app does not rely on the free ad-supported model; there are no annoying ads, so ads do not report your usage to servers. You are also not slowed down by rendering and download of ads.